Series 9 9295cc Wet & Dry shaver with Clean & Charge station and travel pouch, chrome. Series 9 - World’s most efficient shaver*. Exceptionally gentle. With SyncroSonic™ technology and a Titanium coated middle trimmer. Five specialized shaving elements capture more hair in one stroke for fewer strokes and less skin irritation. Our patented technology reads and automatically adapts to your beard. We recommend replacing all cutter parts every 18 months. To maintain optimal performance, we included a replacement part indicator in the display to ensure that you know when to exchange the cutter parts. 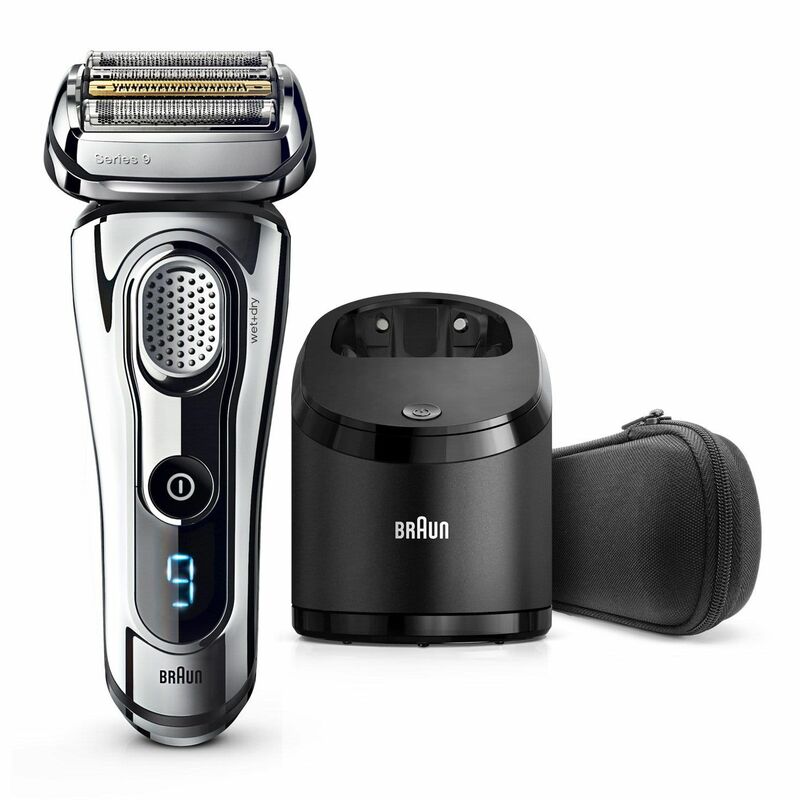 Series 9 - World’s most efficient shaver*. Exceptionally gentle. With SyncroSonic™ technology and a Titanium coated middle trimmer. Five specialized shaving elements capture more hair in one stroke for fewer strokes and less skin irritation. SyncroSonic™ Technology Our patented technology reads and automatically adapts to your beard.